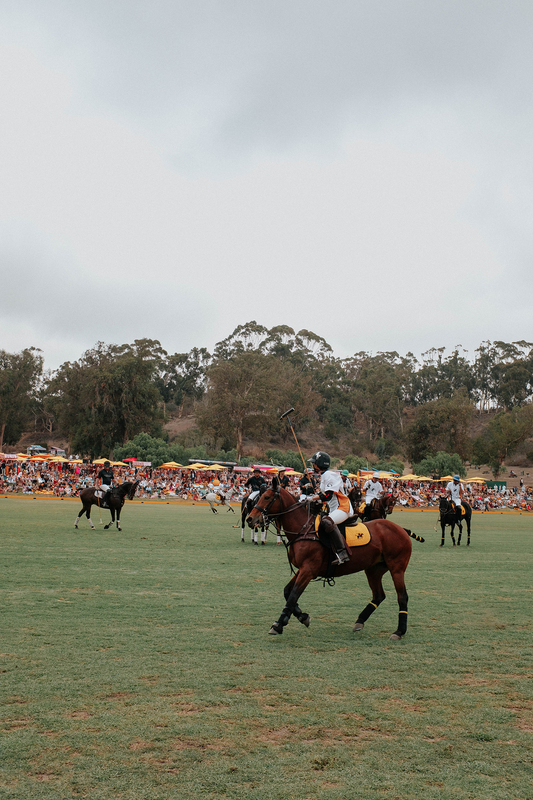 The Veuve Clicquot Polo Classic is arguably one of LA’s best and most beloved events – AND I FINALLY GOT TO GO THIS YEAR!!! For the past five years I swear I have been out of town every single time it came around, but not this time my friends. This time I made a point to be in town, and goodness gracious did I make the most out of this opportunity. 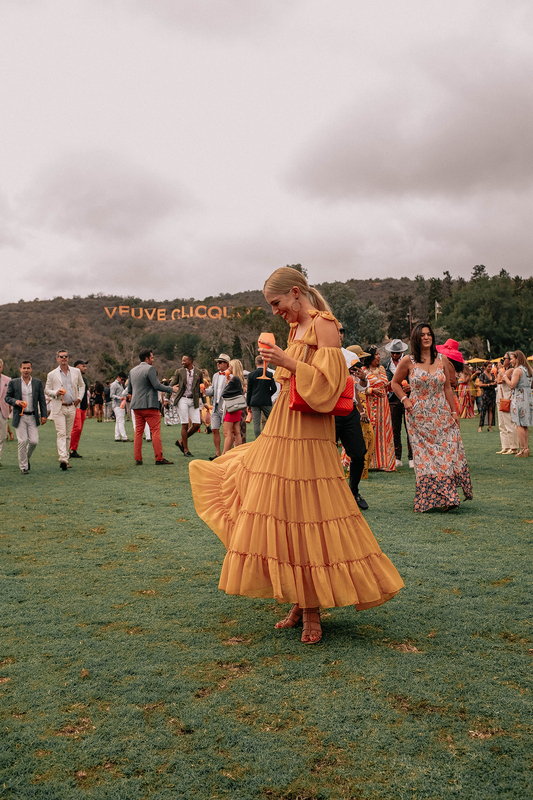 I love any event involving champagne and or horses, let’s be real that really is my version of heaven, but the real reason any of us girls get giddy about attending the Veuve Polo Classic is for the complimentary fashion show. The fashion show that we too can take part in. I took FULL advantage of having an excuse to get gussied up for the day. I couldn’t bring myself to invest in a fancy hat like some of the ladies there, but I went all out on purchasing the perfect dress, I got a tan to go with it, and I really did feel like a total golden kween at the event. Someone even told me I looked like Beyonce in her Lemonade video and I just about died (halloween costume – done). 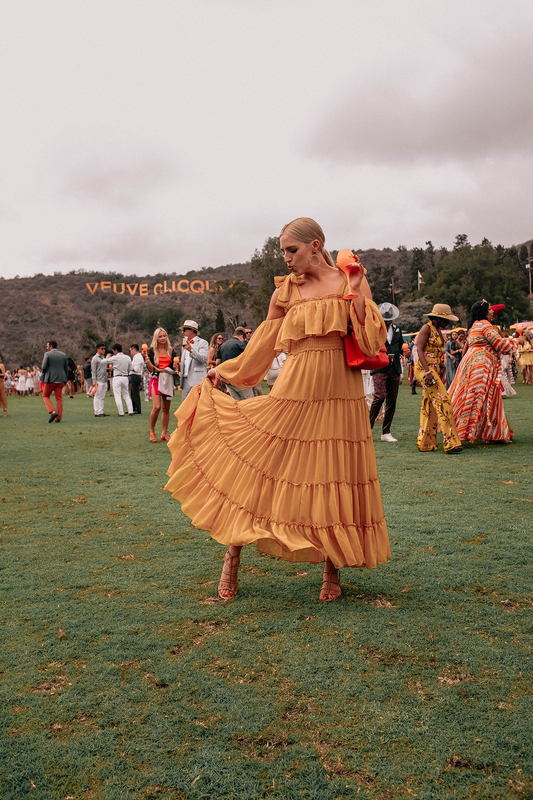 The Veuve Polo Classic really is not the place for “step step pull’s” (body con dresses) and nor is it the place for anything too casual. 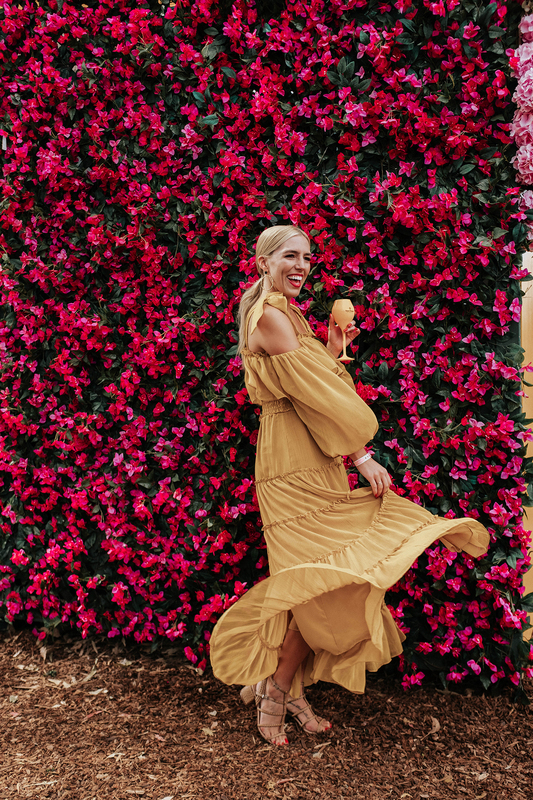 If you’re paying the price to attend, especially in the Rosé Garden, put your best foot forward. If you can’t afford a nice fancy dress, this would be the perfect event to rent one for! I have an Unlimited membership with Rent The Runway but RTR is perfect for days/events like these. 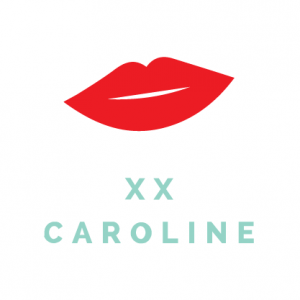 Then you can do it up as big as you want girl – no regrets. Well. At least when it comes to your wallet. 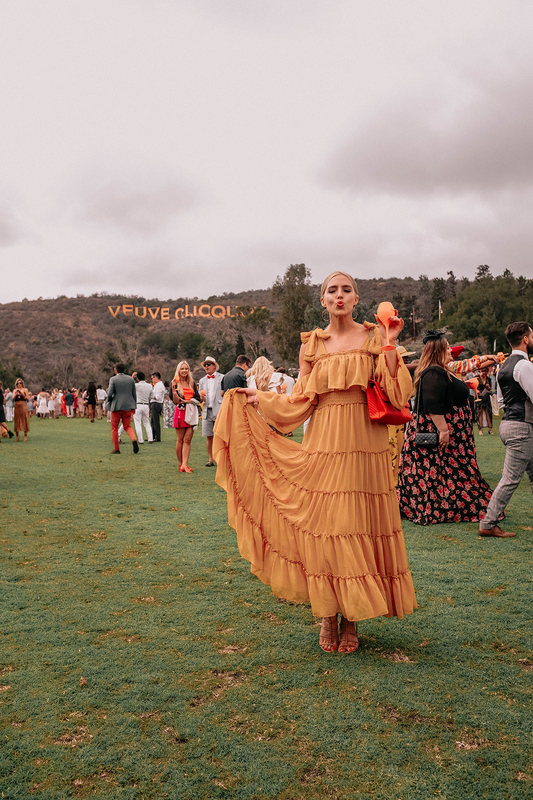 As mentioned, this was my first year attending the Veuve Polo Classic and to say it was a good time would be an understatement. 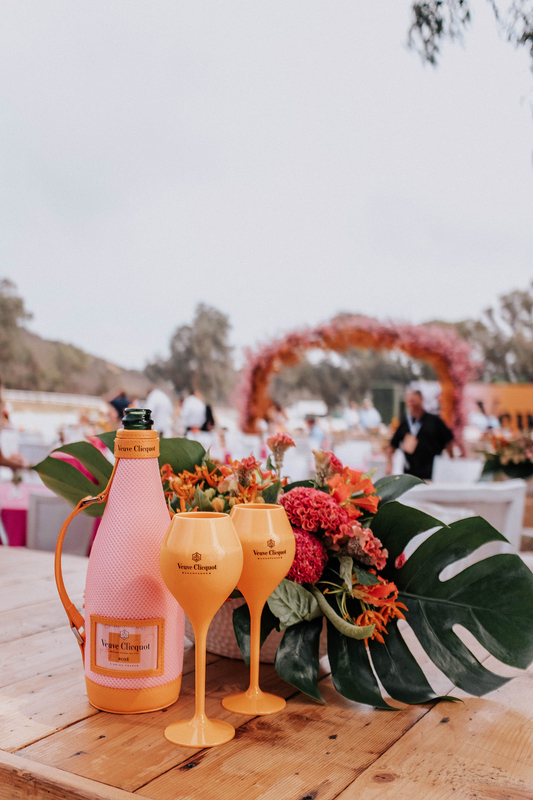 I was fortunate enough to attend on behalf of Veuve Clicquot, but I have to say, if I had to pay next year to be in the Rosé Garden… I would. ($450, I know, but it’s once a year.) But that’s how fun it was. I will say if you are thinking of attending next year, and you want the Rosé Garden tickets, make sure you buy them early because they do sell out! Already looking forward to next years event, in the meantime please enjoy more moments of pure joy and fantastic fashion. LOVE this dress! It looks gorgeous on you!! This is so fricken cute. I would love if one of my brides wore this to as I photograph their L.A. engagement / wedding.